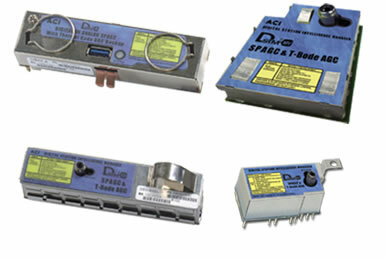 Let ATS add ACI DSIM technology to every amplifier / line extender repair completed. ATS offers installation of the ACI AGC module with all units sent in for repair. Pricing will include repair and part cost, no additional labor will be charged. The Digital Station Intelligence Manager (DSIM) is a gain control module with cost effective local station diagnostics right on the board. The DSIM AGC module gain control function allows for QAM or analog carriers from channels 52 to 142 to be selected as pilot or can be set to operate in thermal mode with 9, 18 or 27 dB of cable. The DSIM Controller is a portable tool that is used to set the pilot channel/thermal AGC dB cable settings in the AGC modules. The LED red/blue lights indicate the current operational mode setting. For specifications of the DSIM please check out the Specifications chart. The ACI DSIM can be easily crossed reference with your current amplifier part number information. Check out the ACI DSIM Amplifier Reference Vendor PN for more information.